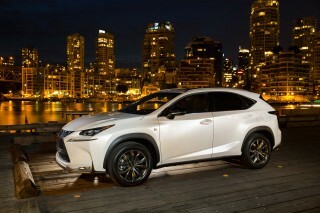 Need a hatchback and not a crossover? Skip all-wheel drive and save $2,000. If you thought 2016's version was nice, you'll love it twice: 2017's model changes very little. The 2017 Mercedes-Benz GLA-Class shares its running gear with the small CLA sedan, but with a taller road presence and shorter frame. 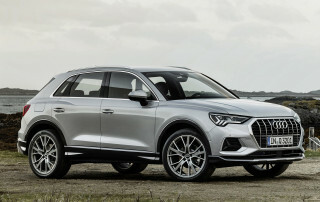 Some of its features are exaggerated to give it a bolder presence on the road, such as its big 18-inch wheels and big three-pointed star stuffed in the grille. Inside, the GLA reads like a 4/5ths-scale Mercedes SUV with all the customary elements in place. For 2017, Mercedes opted for a larger 8.0-inch center display this year (last year was 7.0-inches across), but it still feels like an afterthought in the car. Under the hood, a 2.0-liter turbo-4 in two very different states of tune awaits buyers. The normal, GLA250 version makes 208 horsepower and 258 pound-feet of torque, which is mated to a 7-speed dual-clutch automatic. When it was first made available, the engine-transmission duo was relatively new—now, it's par for the course. 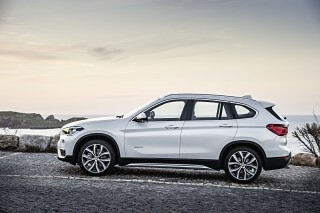 Mercedes says the little SUV can make the run up to 60 mph in just 6.4 seconds, on its way to a top speed of 145 mph. The GLA45 boosts the 2.0-liter turbo-4 all the way up to 375 hp and 350 lb-ft (which is the highest output per liter of any mass-produced engine) and 0-60 mph times drop to 4.3 seconds, officially. You might be expecting a riot, and you'd be right: the potent engine is hugely entertaining. The GLA250 is made standard with front-wheel drive, and all-wheel drive is available. The GLA45 is all-wheel drive only. No sane owner will try to make a GLA do the same kinds of off-road duty as a Jeep, but it's surprisingly capable AWD system provides rugged ability in snow and on dirty and gravel tracks. The GLA 4Matic isn't limited just to muddy sports fields and slick roads, though. AWD models are fitted with Downhill Speed Regulation, as well as an off-road transmission mode. The taller ride height makes body roll more apparent on fast corners, but its CLA sedan underpinnings let the GLA offer roadholding and handling that’s more like a passenger car than a utility vehicle. The front seats are well bolstered and all-day comfortable, but the rear seats in the GLA are still a tight fit for adults. There isn't much leg room in the back, and if tall drivers push front seats back far, leg room altogether disappears. The GLA only sports 17 cubic feet of cargo space with the rear seats up, 43.6 cubes with the seats folded down. It's not as practical as others in its class, but it should be OK for most weekend duty. A rigorous focus by designers on reducing aerodynamic drag and wind noise gives the GLA a commendably quiet interior and ride. 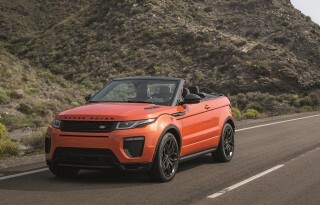 A few examples include a tailgate spoiler to extend the roofline, underbody panels to reduce turbulence, and carefully shaped door-mirror housings. Frustratingly, neither the IIHS nor federal testers have crashed a GLA, despite being on sale now for two years. Standard safety features start with eight airbags: front, side, and knee bags for front-seat occupants, plus side-curtain bags across front- and rear-door windows. Also standard is a forward collision warning with automatic emergency braking, which we appreciate. Mercedes' smallest crossover has a verve all its own. Whether the 2017 Mercedes-Benz GLA Class is a crossover or a hatchback depends on your definitions of both words—and perhaps the angle at which you're standing. The GLA has the body and proportions of a five-door compact hatchback, but is tall enough to be a light truck. It's easy to forget that the GLA has 8 inches of ground clearance, which is partially due to its large standard 18-inch wheels, or optional 19s. There's no slab-sidedness in the GLA's profile, its deeply sculpted body sides and steeply angled rear pillars are anchored by huge oblong taillights. Several elements on the GLA, such as the three-pointed star in the grille and horizontal strakes, were deliberately made bigger to give the GLA a bigger road presence, despite being one of the smallest offered by Mercedes. How would you like your Mercedes turbo-4? Mild style or wild child? There's no dramatic shift in powertrain options for the 2017 Mercedes-Benz GLA: regular or extra crispy? The bulk of the GLA sales will be the 2.0-liter turbo-4 that makes 208 horsepower and 258 pound-feet of torque. It's mated to a 7-speed dual-clutch automatic that powers the front, or all wheels when equipped. Mercredes says base models will make the 60-mph dash in 6.4 seconds. 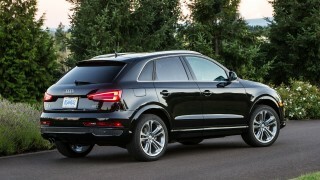 On the road, we found the engine relatively responsive, but the 7-speed autobox was more than eager to upshift. That means that the turbo has to spool up while the transmission downshifts one and often two gears before the available power can be delivered. It's not an issue in relaxed driving, and the shifts are smooth, quick, and well-insulated. The optional 4Matic system remains front-biased, distributed up to 50 percent of the torque to the rear wheels only when it senses a loss of traction. The GLA250 feels like a car behind the wheel, but it's in the corners that we felt separation from the CLA sedan sibling. The GLA rolls a little more, even though it holds the road well, and cornering is relatively balanced. We don't imagine many people will test the off-road prowess of the GLA250, but some have reported that is can handle more than slick roads and muddy fields. We'll report back from the Rubicon Trail as soon as we can. The GLA45 AMG's 2.0-liter turbo-4 is boosted to within an inch of its life—375 hp and 350 lb-ft of torque. Virtually all the internals have been strengthened and reinforced to allow it to put out what would have been race-car power levels just a few years ago. Mercedes has given the little hatchback a delightful exhaust note, and we've even found that under power, the GLA can actually hang its tail out. It's entertaining, and we're sure that's what many of those buyers are looking for. The GLA's compact hatchback shape cuts into rear seat space and cargo capacity. 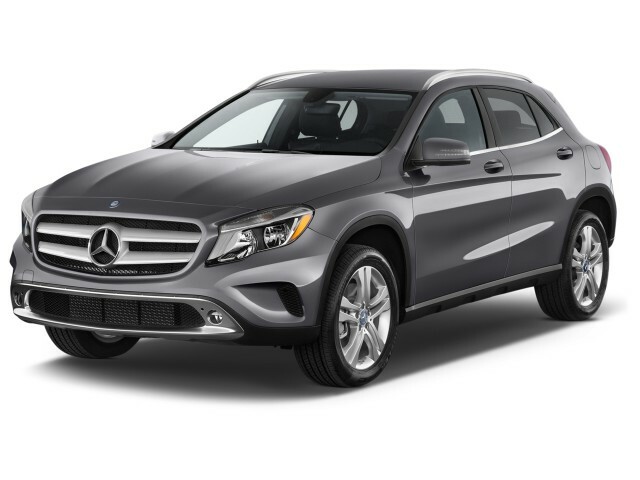 The 2017 Mercedes-Benz GLA is a small hatchback that shares running gear with the compact CLA sedan in the automaker's lineup. The GLA is gifted with more leg room, but we still say it's better for two, rather than a crowd. Front-seat occupants are treated to well-built, power-adjustable front seats, though, with firm bolsters and excellent back contouring. Mercedes makes standard its leatherette upholstery, called MB-Tex, but makes leather seating an option on the GLA. Recaro buckets in the GLA45 are simply fantastic, with plenty of bolstering, and very nice contrast stitching. About the back seats: they're included. There's adequate head room for adults (which is more than the CLA can say) but leg room is in precious short supply. We say the GLA is one of the more confined compact crossovers, especially compared to its larger sibling the GLC. The cargo room is similarly pinched because of the hatchback shape. Only 17 cubic feet of space is available with the rear seats up, but there is a pass-through for skis and other long items. Fold the rear seats down—but not flat—and the cargo room expands to 43.6 cubes, which isn't exactly palatial either. Crash test information for the 2017 Mercedes-Benz GLA Class is frustratingly non-existent. Despite being on sale now for more than two years, there's a dearth of official crash test data. Standard safety features start with eight airbags: front, side, and knee bags for front-seat occupants, plus side-curtain bags across front- and rear-door windows. Also standard is a forward collision warning with automatic emergency braking, which we appreciate. The system, which Mercedes calls Collision Assistance Plus, monitors objects ahead and alerts the driver if a collision is imminent. The system brakes automatically if the driver hasn't responded in time. It lessens the impact of a collision at higher speeds, and can avert some altogether at lower speeds. Mercedes includes its driver attention assist program, which alerts the driver if it senses slower response times or drifting in lanes. In addition, adaptive braking incorporates hill-start assistance and brake drying in wet weather. Mercedes also fits a hold function that keeps a GLA in place on hills even if the driver remove a foot from the brake pedal once the car has stopped moving. Optional safety equipment on the GLA includes lane-keep assist to warn drivers if the car is drifting out of its lane, adaptive cruise control, and active parking assistance. Bi-xenon headlightss are also optional, as is a rearview camera, which is a big omission for a car that starts north of $30,000. The GLA gets a bigger infotainment screen this year, we just wished it displayed the view from a standard rearview camera. The 2017 Mercedes-Benz GLA's lineup is relatively easy: Front- or all-wheel-drive GLA250 models, plus the hot-rod GLA45 AMG version. Base equipment includes 18-inch wheels, an 8.0-inch infotainment display (new this year), keyless ignition, dual-zone climate control, power front seats with memory, a power liftgate, and on the 4Matic version, hill descent control, and other off-road assistance programs. Like the rest of Mercedes' lineup, the GLA has an extensive menu of options that will substantially pad the bottom line for those with a heavy hand on the order sheet. Highlights include bi-xenon headlights—which are standard on the GLA45, a panoramic sunroof, and a suite of electronic active-safety systems. 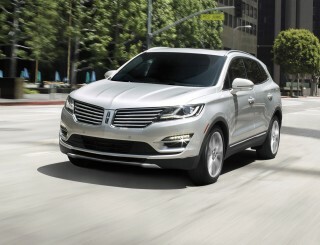 Those include the Distronic Plus adaptive cruise control, active parking assist, and active lane control. A rearview camera remains frustratingly optional, but it gets 180-degree view. The 12-speaker Harman Kardon premium audio system is also a top-of-the-line option, and an available Night package for the AMG version can move the small compact close to $70,000 after its all done. All-wheel drive is standard on the GLA45 AMG—which it should be with an opening price just under $50,000. 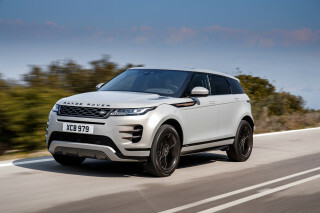 Also standard are its vastly more powerful engine, standard 19-inch wheels with low-profile performance tires, and sportier suspension tuning. A host of standard and optional exterior and interior appearance items distinguish it from the GLA250, from aerodynamic body add-ons to contrasting seat belts inside that match the contrast stitching on the upholstery. Fully loaded AMG models reach toward $60,000. Fairly efficient for a compact hatch, the GLA's fuel economy is in line with others; hot-hatch versions don't penalize buyers too much. The 2017 Mercedes Benz GLA Class keeps in line with others by using a turbo-4 for motivation and a 7-speed automatic to extract comparable mileage. The hotter Mercedes-AMG GLA45 makes 50 percent more power, but its fuel-economy penalty may not be as steep as you'd be expecting. Equipped with standard all-wheel drive, the GLA45 manages 22/28/25 mpg on the EPA test. Depending on how you drive it, of course, it could go considerably lower than that. In reality, though, is anyone who pays $50,000 or $60,000 for a high-performance compact hatchback from a luxury make really all that concerned about its gas mileage? 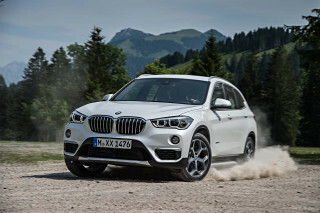 By comparison, the BMW X1 in all-wheel-drive guise manages 25 mpg combined, and the Audi Q3 earns 23 mpg combined, according to the EPA. All of the small luxury hatchbacks use a turbo-4, similar to the Mercedes-Benz GLA.